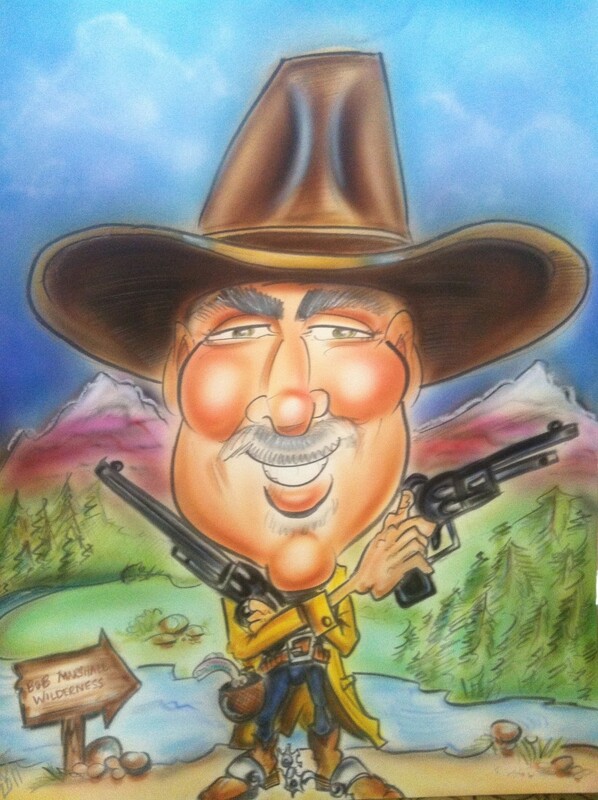 I have over 20 years of experience and have drawn for many events including Adventureland, Blank Park Zoo, Drake, Principal, many corporate functions, weddings, festivals, colleges, birthday parties and many other events! I can draw a person every 3 minutes on average and that includes full body. I draw on high quality bond paper and will give your guest something to have for years to come! We had Steph at our After Prom event. She did a great job doing caricatures for the kids. They really appreciated having something that they could take home from the event. Steph did an absolutely wonderful job at our Grand Opening event. She has so much talent! 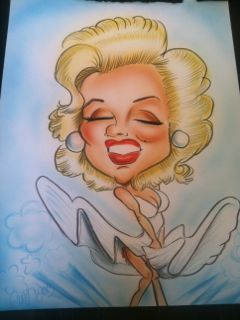 She is also very quick and many guests were able to enjoy getting a caricature. We had many great compliments on her work. You can expect quick, funny and accurate live caricatures with great likeness and recognisibilty using a confident, clean style. 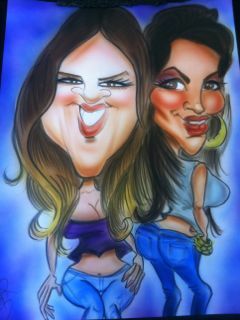 My caricatures will leave you flattering and not make you look ugly! • I provide excellent customer service and interaction with your guests! I will chat with your guests and make them feel at ease at all times, capturing a little more of their personality! • You can hire me for any type of event from parties to corporate functions, weddings and trade shows. • I can draw 15-20 faces per hour on average. My easel is small and portable so I do not take up much room and only two-three chairs. • When drawing traditional caricatures, I use high quality artist materials. I draw on 12x16 high quality bond paper, ( permanent marker, oil based charcoal sticks, airbrush,) but smaller paper is available on request. 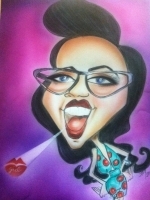 Stephanie would be the perfect caricature artist for your next event! She has been drawing caricatures for over 20 years! 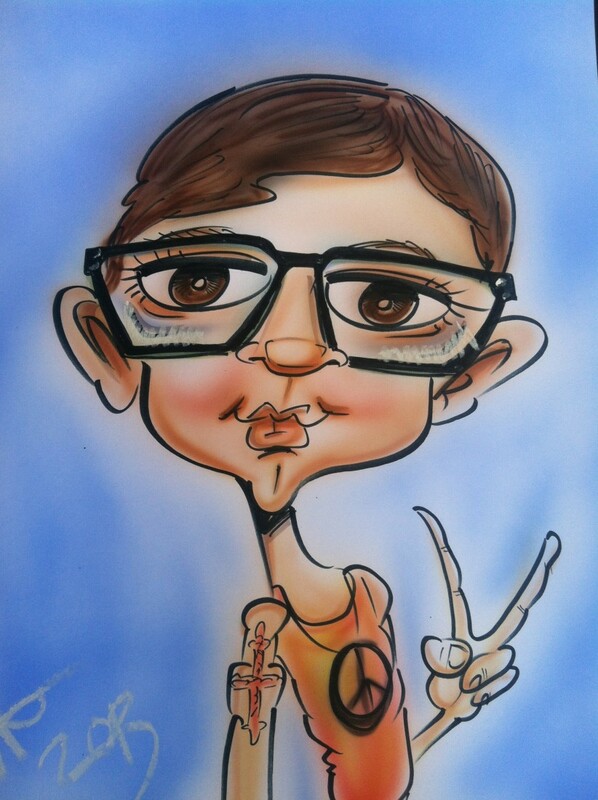 She first started drawing caricatures at Adventureland Park and has since drawn all over the Des Moines and surrounding areas including weddings, town festivals, after proms, corporate parties, birthday parties and much more. She has a Bachelors Degree in Business Management and Marketing. However, her love for art keeps her busy drawing! She will provide a professional fun night of entertainment that will create a long lasting memory at your event!